The F8500 plasma is one of those TVs that you don’t want to miss out on purchasing now, or you’ll be regretting it for years to come. It’s just that good. 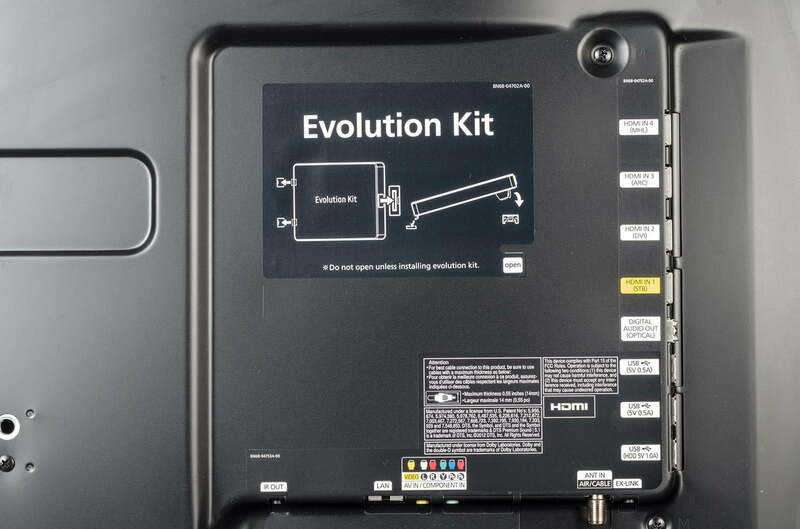 Samsung F8500 Series information: This review is based on our hands-on experience with the 60-inch PN60F8500 TV. However, our observations also apply to the 51-inch PN51F8500 and the 64-inch PN64F8500. According to Samsung, the three sets differ only in dimension and weight and offer identical features and performance. Video enthusiasts everywhere (count me among them) are already furiously debating what the best TV of 2013 is going to be. So I’ll lay it out there: The Samsung F8500 is one of two (maybe three) finalists for that trophy. But wait, shouldn’t a 4K or OLED set take the crown this year? No, for a number of reasons. 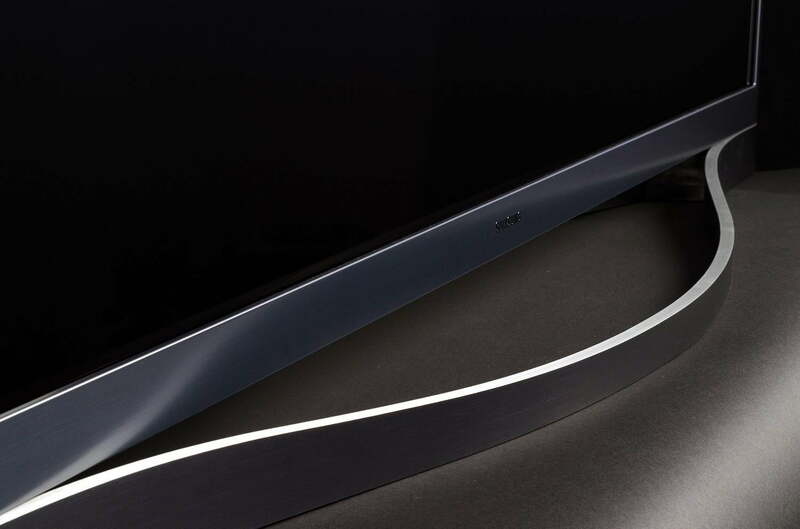 OLED TVs are out because they’re still in their infancy, very expensive, and you can’t buy one in the US yet. Similarly, all of the available 4K/Ultra HDTVs are too expensive for most buyers, don’t have enough native content, and with the exception of one prototype, rely on LED-backlit LCD panels, which just can’t compete with plasma in image quality. Oh, look at that! I just axed LED TVs while I was discounting 4K. I guess that leaves us with plasma. Speculation aside, the F8500 is one of the most spectacular-looking plasmas people will lays eyes on this year. It’s the brightest plasma we’ve ever seen, its black levels and contrast are extremely impressive, and its resolution of color is top-notch. The F8500 is not a “perfect TV” – we’ll go into its quirks shortly – but most folks won’t care about that because once they get a look at this piece of visual art, they will want it. You want it right now, don’t you? Here’s why. Even turned off, the F8500 is the best-looking plasma Samsung has ever made and, some could argue, the best-looking TV it has made to date. Part of what makes the F8500 so handsome is its trim, gunmetal bezel, but, strangely enough, it is the TV’s stand and screen that really make it stand out. The F8500 bowed, metallic stand is the most attractive design Samsung has come up with yet, even if it does hog up a more space than most. It’s a shame that most of them will wind up staying in the box, considering wall-mounting seems far more popular than stand mounting these days. Even without the stand, you can’t help but notice how black the screen is. 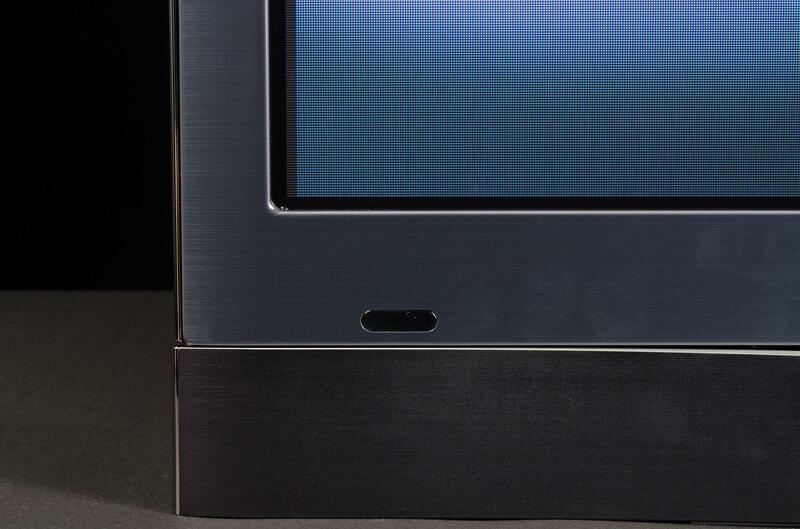 Those who own or have looked closely at plasma TV’s in the past can attest that the screen is usually grey in a way that is reminiscent of an old CRT screen. The F8500’s, on the other hand, is dark black thanks to a technology it calls “Real Black Pro” – essentially a filter that keeps light that enters the panel from being refracted back out. In the box with the TV we found four pair of Samsung’s light and comfortable active 3D glasses, some break-out cables for component and composite video use, a bunch of ferrite cores for RF interference prevention, a shiny, silver remote control and some product literature. 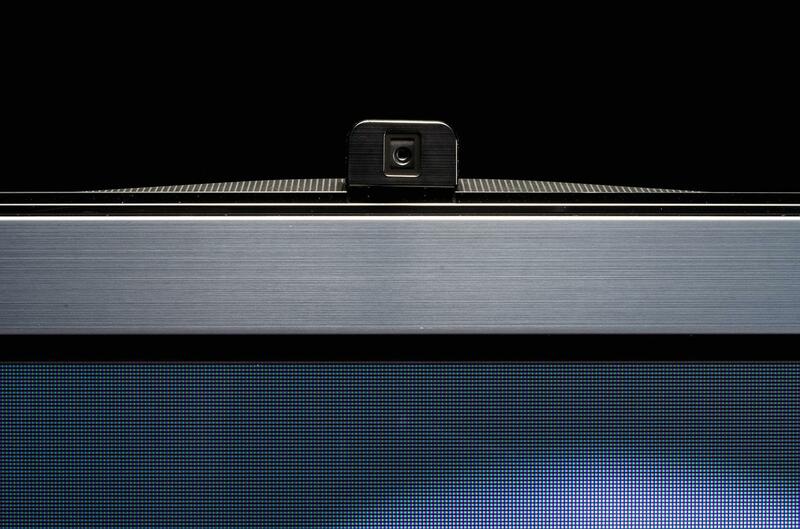 There’s no easy way to put this: This TV is loaded with too many features. Samsung, in what I believe was an effort to stuff as much bleeding-edge technology as can be crammed into any single piece of electronics, kind of overdid it. The good news is there are plenty of gems to discover in this Smart TV’s user-interface. The bad news is it takes some effort to figure it all out. Make no mistake: The learning curve is steep here, folks, but if you’re willing to put some time and effort into adapting, you’ll have the coolest-looking TV on the block for years to come. There are three key elements to operating this TV. You’ve got a new remote control design, gesture control, and voice recognition. And you might be surprised to find out that while you can just choose to ignore gesture control entirely, voice recognition is hard, if not impossible, to avoid using. Let’s start with the remote control, which is a big departure from Samsung’s prior remote designs. This Bluetooth, backlit (thank you, Samsung!) remote uses a clickable trackpad to let you swipe and click your way through everything. Fortunately, swipes don’t necessarily mean you move in single increments. Instead, large swipes move you several steps closer to your destination, smaller swipes result in baby steps. Surrounding the trackpad are a very few buttons, and while I appreciate the simplicity, I fear those used to having their number keys will miss them. Rather than place number keys on the remote, Samsung puts them on screen for you to swipe and click your way through. It takes a while to remember that you have to press the “more” button to get – you guessed it – more buttons. But once you do, everything you need is available on-screen, including some hot-keys to Netflix and Amazon Instant. It’s not hard to use, just hard to get used to. Voice control has historically been a feature that sounds better on paper than it ends up being in practice. And even though Samsung has significantly improved its voice recognition over last year, it still isn’t our favorite. When it comes to basic commands, the voice-recognition software – we’ll call her Shari because she sounds like a Shari – can be a little particular. She’ll tell you that she “prefers” to be commanded in certain ways and using certain words – talk about high maintenance! This is one of the very few televisions with which I didn’t feel an urgent need to make picture adjustments. Still, saying channel numbers instead of swiping and clicking along is easier, and showing your friends that your TV bends to your every bellowing command has a certain element of cool to it. And when it comes to searching for content you want to watch, the system allows a wide range of “natural language” options – everything from “I want to watch The Lorax” to “Show me Bruce Willis movies,” responding with great results. We just wish voice recognition wasn’t required for this search feature. Sometimes you just want to enter some text, but that isn’t an option with this TV. Gesture control is one of those features we’ve not cared for in the past, but somehow, it’s grown on us. Perhaps that’s because the gesture interface on this TV is significantly better than it was the last time we tried it. Or perhaps it’s because the entire user interface is designed around pointing and clicking, which is easy enough to do with your hand waving in the air. Still, we just don’t see many people using this feature, and if it would have kept the TV’s price down a little, we say gesture control should have been tossed, right along with voice control. Samsung’s Smart Hub got a major makeover for this year, and it’s a big improvement. Now, the whole interface is broken down into five major sections. We dig into each a little bit below. On TV – This section is meant to replace your cable or satellite service’s interface. One you tell the TV what service you have and in what area, the TV is able to download metadata from the Internet and populate this section with a bunch of tiles representing which shows are on now and which will be on later. The list is based off your TV selections and eventually starts showing more relevant material. The hang up is: The system has no way of taking into account your particular programming package, so if you have a limited or basic-tier package, you’re probably going to see suggestions for content you can’t watch (on cable or satellite, anyway). The F8500 is also capable of controlling your cable or satellite box through a provided infrared blaster. This is where another learning curve comes into play, since navigating on-demand functions and other service-specific features requires several swipes and clicks rather than a single button press on your cable/sat remote. Movies and TV shows – This section is intended for browsing streaming Movies and TV shows, not that you can tell from the heading. Like “On TV,” this section also displays tiles of a few shows based off of Samsung’s “S Recommendation” software, but you can also search for anything you like using voice commands. The search works across some platforms, but doesn’t take Hulu or the increasingly-popular Amazon Instant into account. For instance, if you select New Girl, you’ll be prompted to purchase the episode from Cinema Now or VUDU, even though it is available for free elsewhere. Apps – The heading explains this section. You’ll find a wide selection of apps, all laid out on a single screen for easy location and navigation. If you know where you need to go, you do it from here. Photos, Videos & Music – This section grants access to any personal media files stored on a network or attached storage device such as USB stick. It runs on DLNA for networked media, so if you hate using DLNA, you’ll probably not enjoy using this interface to get at your pics, movies and TV shows. However, using gesture control to zoom in on pictures or rotate them can be a fun show-off maneuver. 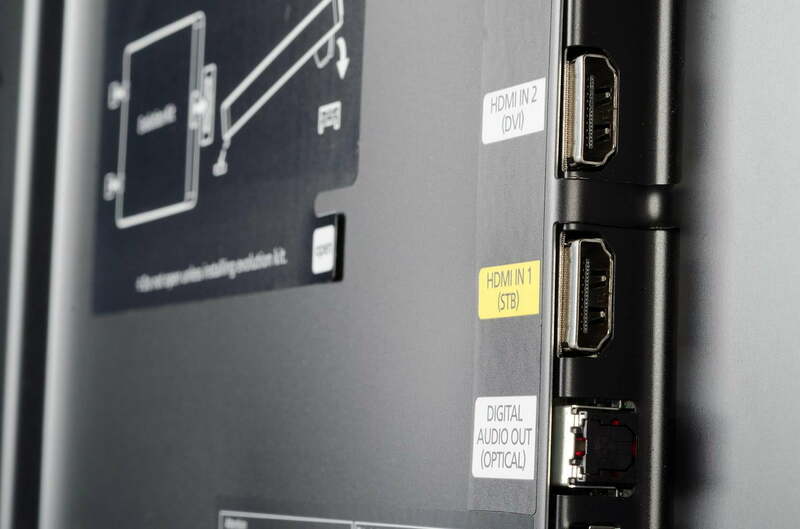 Also, if you’re into Samsung’s AllShare system or you like connecting your device via MHL, you might find yourself hanging out in this section at times. Social – We just don’t see anyone using this section of Smart Hub very often, if at all. The issue is that doing anything on Facebook, Twitter or just about any other social media site remains much easier to do on a phone, tablet or laptop. Also, if I really wanted to use Facebook on my TV, I would probably just go to the Facebook app back on the apps page. Maybe that’s just me, though. This is one of the very few televisions with which I didn’t feel an urgent need to make picture adjustments. Out of the box and set to the “movie” preset, this TV exhibits excellent picture quality attributes. However, a few adjustments are always necessary, so I whipped out the calibration discs and blue goggles and got to work. The most crucial adjustment I made was turning off the “motion dejudder canceller” which introduces the dreaded “soap opera effect.” We also found this TV’s “Black optimizer” setting actually made already deep blacks even deeper. Don’t confuse this with the “black tone” setting, which did nothing valuable for us. As for color, I found the default settings worked very well, though ISF calibrators will appreciate the availability of fine color and white balance controls. You can see my list of recommended settings at the end of this review. 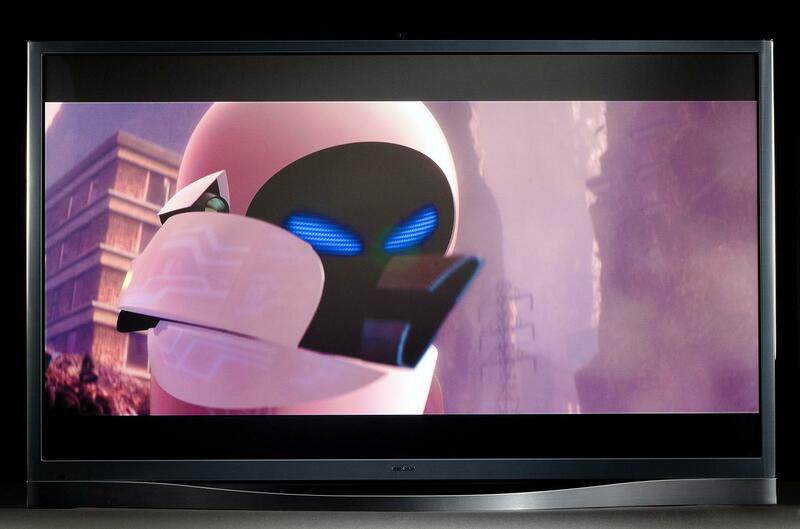 The F8500 plasma is the sort of TV you can’t wait to turn on. It beckons you – even when turned off – because its picture makes such a deep impression each and every time you watch it. I’ve tested some excellent TV’s in the past, but unlike all of them, the honeymoon period never wore off with this TV. The object of much of my infatuation is the F8500’s deep, ebony black levels, which help to set off colors, add depth to images and show off the set’s sparkling brightness. This television makes everyday TV watching a treat, turning nearly everything it displays to gold – even the morning news looked better than it ever has before. But the most startling improvement to my TV watching experience came with Discovery Channel’s Deadliest Catch. Anyone familiar with the show knows it is filled with scenes of the crab fishermen’s boats cast against a dark night sky and sea that, on most TV’s, tend to blend together in a grayish, amorphous blob. With the F8500, however, the sea’s undulating waves were clearly visible against a jet-black night sky, occasionally marked with the pinpoint-tiny lights of neighboring vessels. To be honest, I’ve been over this show for a couple of seasons now, but the F8500’s treatment of it had me loading up episodes on-demand just so I could keep looking at it. 3D images were bright and vibrant in a way I’ve never seen achieved in commercial theaters, let alone at home. But the F8500’s black levels are just one ingredient in the TV’s recipe for excellency. Contrasting its ability to shed very little light is its ability to produce extremely bright images. To say it is the brightest plasma I’ve seen doesn’t tell enough of the story. This set is capable of such high levels of brightness that I would have no problem recommending it for those with rooms that deal with enormous amounts of sunlight. I’ve seen some LED-backlit sets get brighter (Samsung’s own ES8000 comes to mind) but it’s hard to imagine needing anything much brighter than the F8500 can get. As my family watched The Lorax last week, everyone remarked at how the colorful movie popped in a way they’d not seen previously. The image was effortlessly rich and vibrant, a difficult combination to pull off for any display device. The F8500’s outstanding contrast transformed movies like Brave, which tucks little animated gems inside distant shadows. I noticed objects in the witch’s cave I’d never seen before, and the dark, moon-lit battle with Mordu was easy to watch, whereas its action has always been a strain to see in the past. 3D – I’ve never been a fan of active 3D technology – mostly due to the cost of the glasses and the need to maintain battery levels via replacement or constant recharging – but I must admit that the F8500 impressed me. 3D images were bright and vibrant in a way I’ve never seen achieved in commercial theaters, let alone at home. The images also seemed to be free of flicker, and I didn’t feel as if I lost too much in the shadows when darker scenes came along. For the first time, I actually sought out more 3D content, just to see how the F8500 handled it. Each time, I came away impressed. Streaming apps – With the exception of some of Vizio’s TV’s, most Smart TV platforms include versions of popular streaming apps such as Netflix and Hulu that fall short of the versions included in Roku’s set-top boxes. Until that has changed, I’ll continue to favor an $80 set-top box to what’s bundled inside a TV. With that said, Samsung’s Smart Hub is, on the whole, the most comprehensive and easily navigable Smart TV interface available and deserves some recognition for that. Sound quality – I’ve heard worse. Much worse. If that doesn’t sound like a ringing endorsement, that’s because it isn’t. This television’s speakers are located on the rear of the panel, and while such an approach keeps the TV looking ultra-sleek up front, that’s just not a party you want happening in the back. I think most folks considering this TV aren’t going to want to use its speakers anyway, and if they do, then the sound it offers will probably be sufficient. There are TVs that sound better on their own, but not many; so we’re not going to dock big points for something we’ve come to expect from most flat-screen TVs. Until we’ve thoroughly tested the Panasonic VT60, we can’t declare any winners in the battle for this year’s best TV, but we can say that Samsung’s F8500 is going to give the Panny a serious run for its money. Though the F8500 is a little rich on novelty features for our taste (we could do without voice commands and gesture control entirely) it’s Smart Hub TV interface is one of the best platforms available. And, if you’re willing to endure the learning curve, its ability to control cable and satellite boxes and integrate its content guide into a more pleasant interface can be a nice bonus. But if we brush all that stuff aside, what we’re left with is a TV that is stunning to behold, on or off. While videophiles will understandably want to dicker over measurement minutiae in an effort to objectively declare a winner of the ultimate TV prize, the fact is that anyone who chooses to buy the F8500 is going to come out a winner. It is one of those TVs that you don’t want to miss out on purchasing now, or you’ll be regretting it for years as you read five years from now about how it was a landmark product for Samsung and how sad it is that plasma isn’t around anymore. It’s just that good.